Want to be a carrot for this year’s Halloween? No problem. Do you and your significant other want to go as Anne Boleyn and Henry VIII? Consider it done. Are you and your friends planning to just randomly run around the neighborhood dressed up as the Teletubbies? You’ve got it! Whatever your imagination can dream up, it’s here at Disguises, the largest provider of costume rentals in Denver. 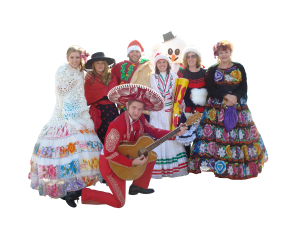 From costumes for theatrical shows, Halloween parties, corporate special events, and masquerade parties, we have it all. We have over 100,000 pieces to choose from. And from the ancient Roman to modern times, our vast collection spans several hundred years of apparel as well. Our period costumes are nearly historically accurate. Down to the silhouette and the smallest details, we make sure the costumes are correct for the particular historical period you are looking for. With our finger on the pulse of pop culture, our Denver costume rental store also stocks Star Wars pieces, as well as superhero suits, Disney princess gowns, The Simpsons costumes, and many more. Visit our fabulous rental showroom where the thousands of costumes are arranged by themes and historical periods – and transform into your favorite character or anything else you need to be. The choice is amazing for nearly any type of costume imaginable and we are proud to have plenty of every size from XS to 4X! At Disguises, choosing your costume is half the fun! Our rental specialists can help you choose your costume.And in most cases we can alter it to fit you perfectly! Browse our Rental Photos or take home a list of ideas to study. You’ll have fun just visiting our themed dressing rooms where you can change clothes in a tropical jungle, in a Victorian boudoir, or at a Grecian temple, with even more choices to make shopping fun! Rent it now and we'll save it for you! Don’t miss out on your favorite costume. It’s never too early to rent for Halloween!